Creditcall Closes Chip Card Adoption Gap in U.S.
of merchants that struggle to realize full-scale chip card adoption. those merchants who have migrated, according to Mastercard. fast, simple and secure as possible. and reducing development risk and time. chip card ready mPOS solution (2010). includes Atos, Gravity Payments, NCR Silver, Poynt, and Westfield. during Money2020 in Las Vegas on October 24-26. Bristol, UK and New York, USA. 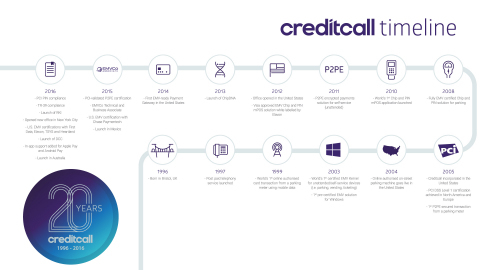 or engage with us on Twitter @Creditcall.